It is easy to rent a car at Glasgow International GLA Airport. A variety of car rental companies are located close to the arrival area of domestic flights and offer all kinds of vehicles, starting from small cars, 7-seaters and larger SUVs. Take advantage of the price comparison to find the best offer for car rental at Glasgow Airport and save on the test winner! The car hire companies are located near the arrival area, domestic flights and the airport. Here you can fill in the rental agreement and pick up the keys. Your rental car can then be picked up at the car park in front of the terminal building. Book your desired rental car to secure your desired vehicle at a reasonable price. You landed at Glasgow Airport and it's time to start the next stage of your journey. The airport enjoys a privileged location on the west coast of Scotland, about 8 km from the city centre of Glasgow and is proud of its fast, efficient and friendly service. It is the only airport in Scotland with direct motorway access and is well served by public transport. With an excellent motorway network and the Motorway M8, which runs right past Glasgow Airport, driving to your destination couldn't be easier! Scotland's main highway, the M8, runs directly at the airport and makes your short drive to the east in Glasgow quick and easy. The situation is similar if you drive westwards, the route is well signposted. The M8 motorway connects you to the rest of the motorway network and is the perfect starting point for exploring Scotland. If you take a bus from Glasgow Airport to downtown Glasgow, it's easy because there are several lines that take you to Buchanan Street bus station, as well as to other stops and distant destinations. If you don't want to spend all your time in Glasgow or plan to travel outside the city after landing, you can also depart from Buchanan Street Bus Station to reach many popular destinations throughout Scotland. All bus stops at Glasgow Airport are directly in front of the main terminal. 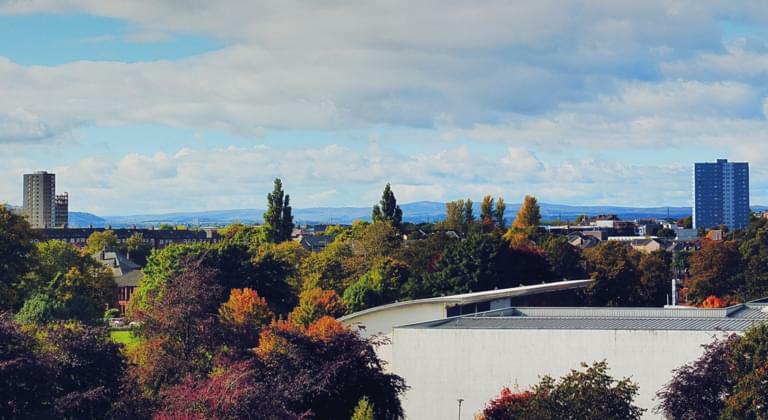 If you want to travel by train, the nearest stop from Glasgow Airport is Paisley Gilmour Street, which is connected to the airport by bus line McGill's 757 or a short taxi ride. You can also take the First Glasgow Airport Express, Line 500, which will take you to Glasgow Queen Street or Glasgow Central Train Station, from where you can travel to popular destinations throughout Scotland. Tickets can be purchased at any railway station in Scotland or on the ScotRail website. For more information, contact ScotRail, National Rail Enquiries or Traveline Scotland. Officially licensed taxis are located directly in front of the main terminal, 24 hours a day. Remember, only the official "Glasgow Airport" taxis can be picked up at the terminal exit. If you are travelling with another taxi company, you will be picked up at the official pick-up point in car park 2, which is directly opposite the main terminal. Forgot an important gift for someone? Passengers arriving at the terminal for domestic flights can shop duty-free at the World Duty Free Store. Of course, you will need refreshment after a long flight. You will find a variety of shops such as Starbucks and WHSmith at the airport. Snacks and rich meals are also available at the airport.